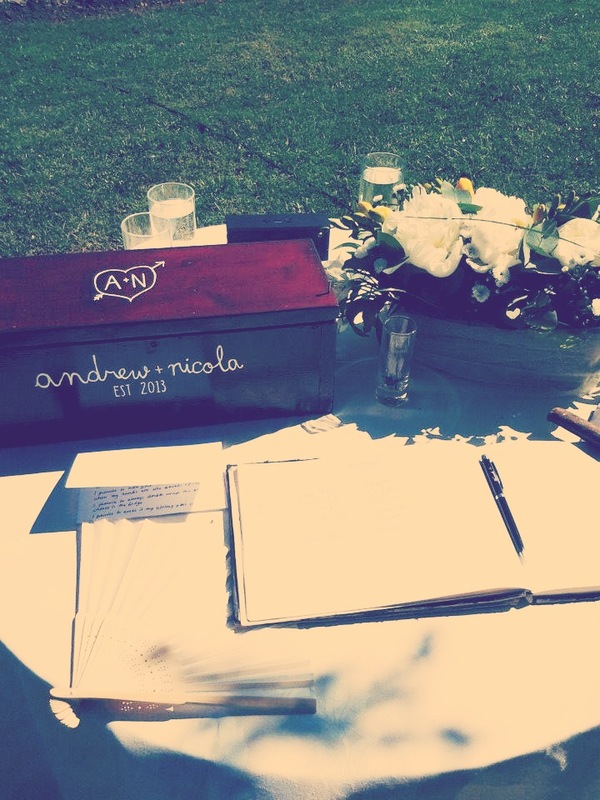 The wedding memory box ritual is quickly becoming a popular way to personalise your wedding ceremony. I first had a couple include it in a ceremony a few years ago and I thought it was wonderful. Especially, as their box had been hand-made and decorated for them by the bride’s granddad, making it even more symbolic. I also loved the fact that they were able to take advantage of their very intimate wedding by having all of the their guests come forward and each hammer a nail to close the box, ready for opening again on their tenth anniversary. I’m not to sure where the idea has come from, I guess its loosely based on a time capsule idea that’s been tailored for wedding ceremonies. Couples place items of romantic value into the box, and then seal the box with the aim of opening it again on a significant anniversary. You can imagine how after ten years seeing all those precious and meaningful goodies inside, will have you gushing all over each other, remembering those little things that you are bound to have forgotten! Here’s my ten contributions but I have a feeling this list can be endless. Many couples love the idea of placing a symbolic bottle of wine into their box. You could use wine that will mature in the year of their significant anniversary, or wine bought on a memorable trip to local wine from the area where you are getting married in, which is a lovely touch too. Now that technology has taken over our lives, who can remember the last time they wrote (with a pen) any type of message to their loved one, let alone a love letter? So why not evoke an ancient tradition(!) and pen a heartfelt letter, telling your partner why you love them and what your future wishes are, all whilst keeping the contents a secret for a good length of time. 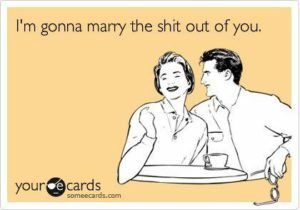 I can’t think of anything more romantic. If you are having personalised vows during your ceremony then why don’t you place your vows (after you’ve said them) into the box too. A fab way to preserve them and also to remind you of the exact beautiful promises that you made to each other, in the years to come. Yes, a real actual, tangible photograph of you both from a memorable or significant occasion. I imagine this object alone would be an extremely powerful memory tool, considering that in ten years’ time (if that’s how long you waited) hard copies of photos may even be a thing of the past! Recently, I found our ‘bride’ and ‘groom’ place cards that we had handmade for our reception in an old tin pencil case of mine. Having not seen them for nearly ten years, that alone was such a powerful discovery. Not only had I forgotten exactly what they looked like and the fact that we had hand-printed every single one of them but the nostalgia of the day washed right over me. So imagine that feeling of keeping back an order of service, place card or your wedding invitation to be placed in your memory box. This is the first of what I would call ‘cryptic’ symbolism, in that the reason for including such an object is not immediately obvious! One couple I married only placed cryptic objects into their box and in this case the coin was to help them in case they were ever completely broke. To make all of life’s little mistakes and bad things disappear! What a lovely idea. To hold everything together when it seems like it’s all falling apart. To remind you to be flexible in order to cope with whatever life has in store. To symbolise the next chapter in your lives. One couple added a beautiful mini, leather-bound notebook to their box, with blank pages which symbolised that they are the authors of the lives. Fantastic idea! Some food for though, I hope. I would love to hear any ideas you have on this! Do share.